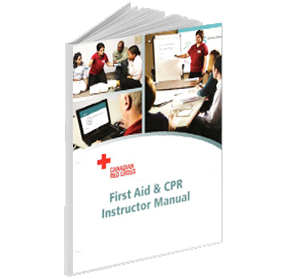 This course includes both an online (approx 8hrs) and in class component (16hrs) which is a prerequisite for anyone taking a Red Cross Instructor Level course for the first time. Once the Fundamentals course is completed, the candidate has 30 days to take their discipline specific course. ‣ Must provide proof of a completed pre-course knowledge and skills evaluation done within 60 days. This can be done by any Instructor Trainer or Teaching Experience Supervisor. Please contact us for the next date/time we will be doing one (for SFA Instructors, the cost is included in the course fee but for Emergency Care Instructors, additional fee applies). Please note: We DO NOT accept PayPal or Credit Card payments for Instructor Level courses. A minimum deposit of $300.00 must be paid 3 weeks prior to the course so materials can be sent out. The balance is due 5 business days prior to the start of the course or a late fee of $50.00 will be added to the outstanding balance. 1) Cash or cheque - Payment must be received 5 business days before the course. please send the payment to: Laura@LMac-CPR.ca and use lmaccpr (all lower case) for the answer to the security question/password. This course provides candidates with the knowledge and skills necessary to teach Canadian Red Cross first aid and CPR courses. The candidates are expected to have finely tuned first aid and CPR technical skills. Therefore, this course focuses on how to teach and facilitate first aid and CPR skills. ‣ Must provide proof of a completed pre-course knowledge and skills evaluation done within 60 days. This can be done by any Instructor Trainer or Teaching Experience Supervisor. Please contact us for the next date/time we will be doing one, the cost is included in the course price but it will require additional time. A minimum deposit of $150.00 must be paid 3 weeks prior to the course so materials can be sent out. The balance is due 5 business days prior to the start of the course or a late fee of $50.00 will be added to the outstanding balance. This course recertifies individuals who have previously completed a Red Cross First Aid Instructor course and now need to renew it. Must be paid 10 days prior to the start of the course or a late fee of $30.00 will be added to the outstanding balance. 1) Cash or cheque - Payment must be received 3 weeks before the course. STEP 2) Complete the Online Registration form (link below). Please register with the same email address you currenly use with Red Cross or you may end up with a duplicate account that you will need to get merged. 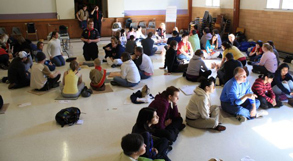 This course provides candidates who are currently instructors with another organization with the knowledge and skills necessary to teach Canadian Red Cross first aid and CPR courses. The candidates are expected to have finely tuned first aid and CPR technical skills. 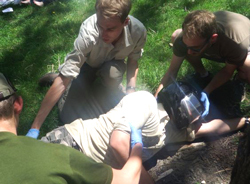 Therefore, this course focuses on how to teach and facilitate first aid and CPR skills. Participants must complete the online portion of the Fundamentals of Instruction course but don't need to attend the in-class portion of the Fundamentals of Instruction. The course cost is $475.00, payment in full is required 10 days prior to the course so materials can be sent out, or a late fee of $50.00 will be added to the outstanding balance..
2) e-Transfer (email transfer). To pay by e-Transfer, please send the payment to: Laura@LMac-CPR.ca and use lmaccpr (all lower case) for the answer to the security question/password. ‣ Must provide proof of a completed pre-course knowledge and skills evaluation done within 60 days. This can be done by any Instructor Trainer or Teaching Experience Supervisor. Please contact us for the next date/time we will be doing one, additional fee applies). 1) Cash or cheque. Payment must be received 10 days prior to the the course, or a late fee of $50.00 will be added to the outstanding balance. 2) e-Transfer (email transfer). Payment must be received 3 weeks before the course. To pay by e-Transfer, please send the payment to: Laura@LMac-CPR.ca and use lmaccpr (all lower case) for the answer to the security question/password. STEP 2) Complete the Online Registration form (link below). Please register with the same email you currently use with the Red Cross or you may end up with a duplicate account that will need to get merged. The TES is an experienced instructor who has completed additional Canadian Red Cross developement work in order to fulfil this role. A TES is responsible for determining the overall success of the Teaching Experience. However, he or she is not authorized to guide remedial work if the candidate is not successful. This will be done by the instructor trainer. Certification: Certification as a TES will last as long as your Instructor Certification is valid, but does not extend the Instructor Certification past its expiration date. ‣ Must be a current Red Cross Instructor in good standing, at or above the level for which you would like to be a TES. 3) Credit Card (Visa, M/C, American Express) paid via PayPal (link below), you don't need to have a PayPal account. Just click on 'Pay with Credit Card or Visa Debit' at the bottom left of the PayPal page. STEP2) Complete the Online Registration form (link below). Please register with the same email you currenly use with the Red Cross or you may end up with a duplicate account that will need to get merged. This course provides candidates with the knowledge and skills necessary to teach Heart & Stroke Foundation of Canada First Aid and CPR courses. The candidates are expected to have finely tuned first aid and CPR technical skills. Therefore, this course focuses on how to teach and facilitate first aid and CPR skills. A minimum deposit of $300.00 must be paid 3 weeks prior to the course so materials can be sent out. The balance is due 5 business days prior to the start of the course, or a late fee of $50.00 will be added to the outstanding balance. To become a Basic Life Support Instructor (BLS), you must participate in a BLS Instructor course. ‣ Successful completion of a Basic Rescuer (BLS-C) course within the last 12 months. ‣ Successful completion of a Basic Rescuer skill performance evaluation within the month previous to the course. Must be paid 10 days prior to the course, or a late fee of $30.00 will be added to the outstanding balance. 1) Cash or cheque. Payment must be received 3 weeks before the course.